SILVER BELLS AT DON BOSCO NAVAJEEVAN RAMANTHAPUR. 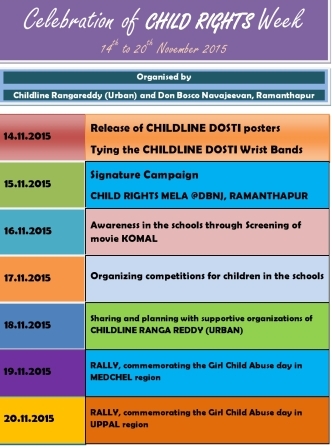 Vijaywada Dec. 11: “Let us put the Last Child First!” This was the slogan of the Don Bosco National Forum for the Young at Risk (YaR) Day 2016. Boys and girls from different Navajeevan homes from all over Telangana and Andhra Pradesh came to gathered at CHIGURU one of the braches of Navajeevan Bala Bhavan (NJBB) Vijayawada for annual YaR Day Celebrations. 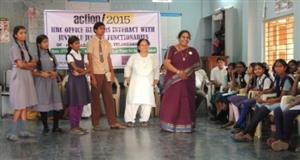 The event was hosted by NJBB, Vijayawada for two days. Flag hoisting ceremony @ DBNJ Ramanthapur. Twin Cities, August 15: Our hearts overwhelmed with exuberant joy to salute proudly tri color flag on 15th August 2016 as we mark seventieth Independence Day of our Nation. National Past Pupils Congress at DBRC, Ramanthapur. 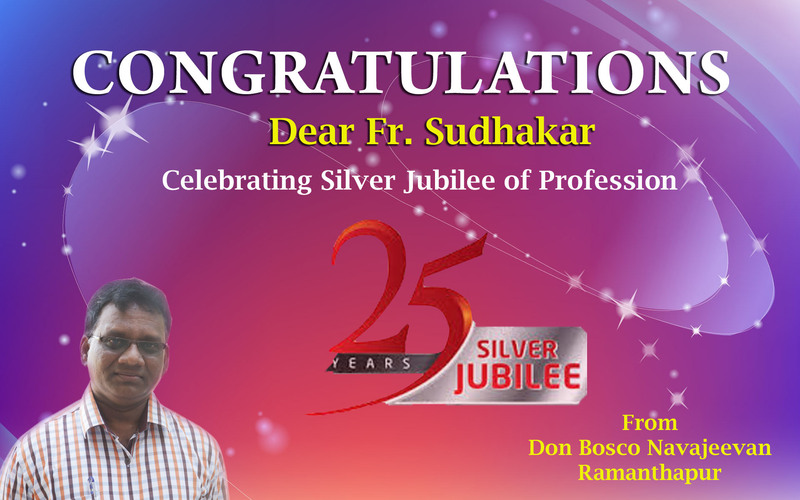 Ramanthapur June 20: “Here in your midst I feel completely at home, for me living is being with you” are the precious words of Don Bosco to his children and now we at Navajeevan feel the same with our beloved Rector especially on the day of gift of his life. Hyderabad, Mar. 21. 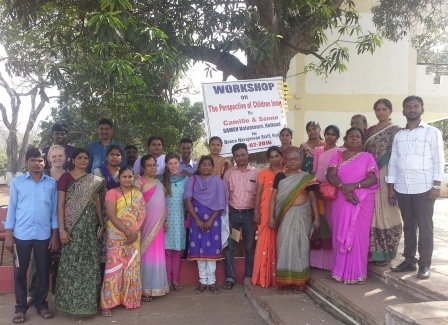 The first regional Participatory Action Research Seminar held on March 14 and 15, 2016 at Don Bosco Navajeevan, Hyderabad, was the culmination of a yearlong endeavor to learn by practicing. 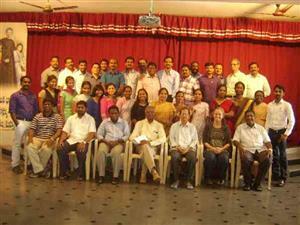 The teachers were the children at 27 Young at Risk (YaR) centres situated in nine cities and six states of South India. 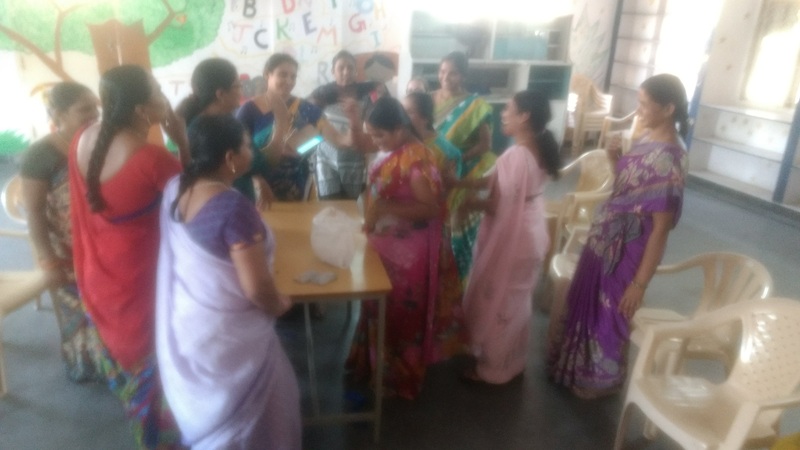 The whole exercise was an effort to shift roles from being the bosses and teachers of the young to seeing them as subjects and as teachers of what they are and what they wish to be. 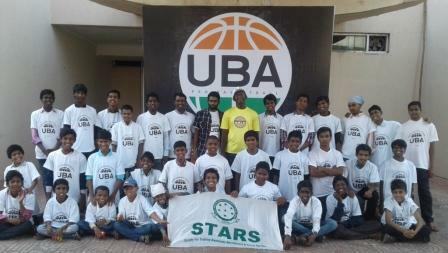 Hyderabad March 27: Good benefactor and friend of Navajeevan, Hyderabad Mr. Ajay Kumar, Founder & Executive Secretary of STARS organization extended a invitation for all the children from three of our Don Bosco Navajeevan Homes in twin Cities i.e., New Bhoiguda, Nampally & Ramanthapur to participate as spectators in the United Basketball Alliance Pro Basketball League Season-2 held at Gachibowli Indoor Stadium, Hyderabad on 27 March 2016. Ramanthapur Feb. 01: A day long celebrations of Don Bosco feast on 31st January 2016 went on with pomp at Don Bosco Navajeevan Rehabilitation Center, Ramanthapur. It was indeed a spectacular celebration that witnessed love of youngsters to Don Bosco as a tribute to him on the occasion of his feast. At the dawn of the day celebrations began with holy Eucharist presided over by Fr. Raminedi Balaraju, Provincial. 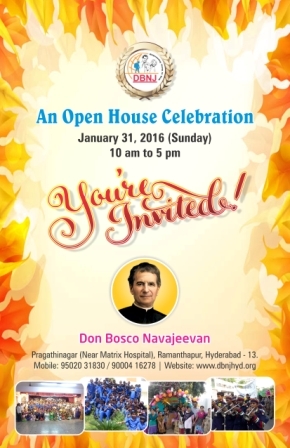 Hyderabad: On 31, Jan we celebrate the feast of Don Bosco our father and founder. Though we have been at the service of STREET INVOVLED CHILDREN and YOUUNG at RISK for past 16 years but not much known to many. On this auspicious day we INVITE all our friends, donors, benefactors, volunteers, past pupils, all those who would like to be part of Navajeevan Family and all those who would like to known more about DON BOSCO NAVAJEEVAN HOMES in twin cities. 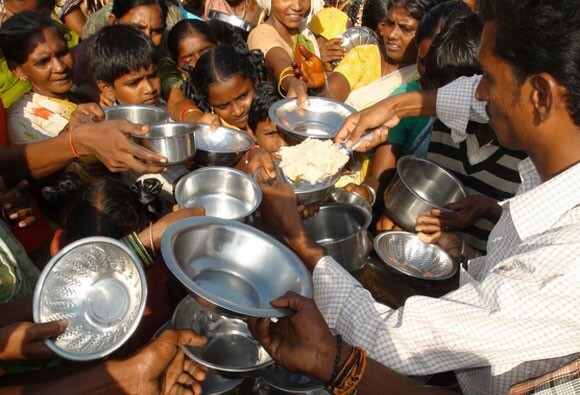 DBPPS, Haythanagar Dec. 17: On 17th December 2015 at 6.00pm, Fr Raminedi Balaraju, Salesian Provincial Hyderabad has inaugurated new Kitchen at Don Bosco Prem Seva Sadam (DBPSS), Haythanagar, Home for girls. All the girls and staff from DBPSS present for the Blessing. 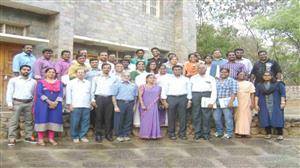 There were also other staff members from New Bhoiguda and Ramanthapur represented for the programme. 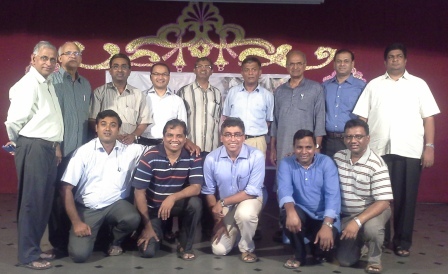 Fr Thathi, the Fifth Provincial of Hyderabad! Hyderabad, Dec. 17: On December 16, 2015 Fr Angel Fernandez, our Rector Major, announced Fr Thathireddy Vijaya Bhaskar as the Provincial elect of the Salesian Province of Hyderabad (INH). He succeeds Fr Raminedi Balaraju as the fifth Provincial of Hyderabad. As we rejoice at this announcement we gladly welcome him back to the Province (from the Generalate) and sincerely thank Fr Balaraju for his yeomen services to the Province. 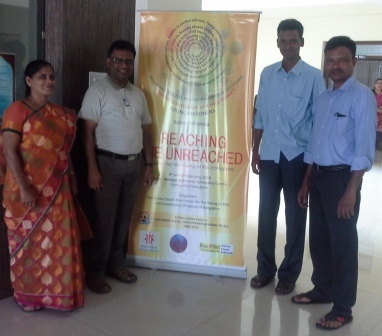 Hyderabad Aug. 24: On 24th August, we Don Bosco Navajeevan were invited by Genpact, Uppal for Global CSR Meet in their premises. Fr. Bellamkonda Sudhakar, Director, Mr. Raja Reddy, Program Manager, Tech. Scholl students Fakruddin and Ajju attended the meet where Fr. 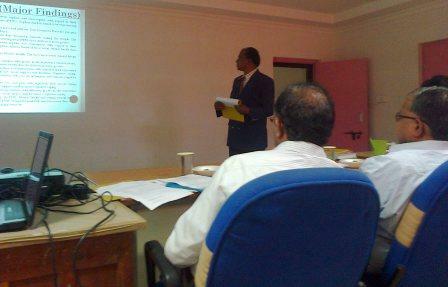 Sudhakar presented the partnership of Genpact and Don Bosco Navajeevan. He thanked all the support and all the volunteers who are part of CSR. 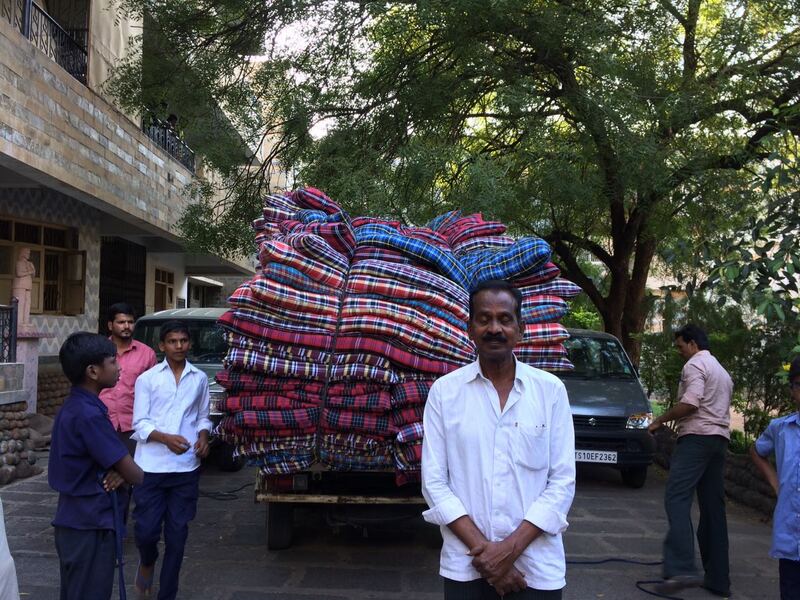 Later students Fakruddin, Baker and Ajju, Tailor also spoke about their journey in DBNJ. 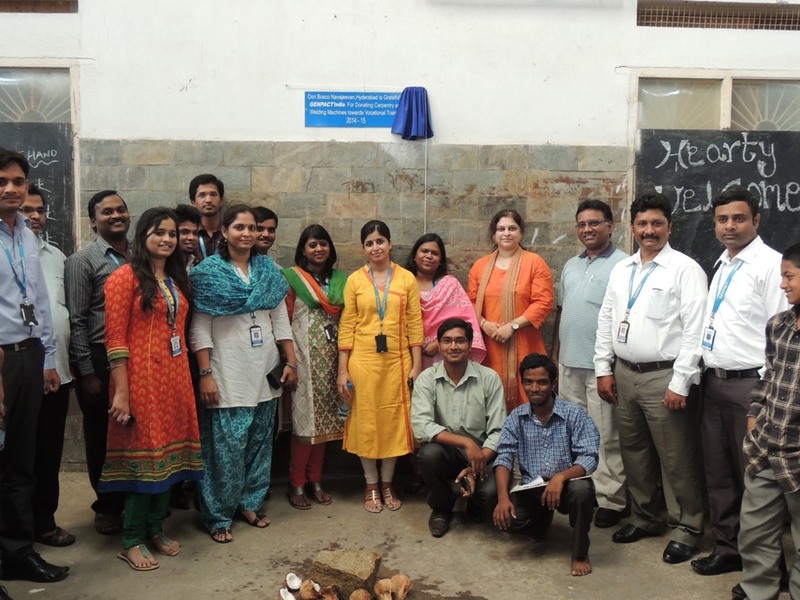 Hyderabad June 21: Genpact HR team of 30 lead by Mr. Varun, HR manager visited Ramanthapur centre. 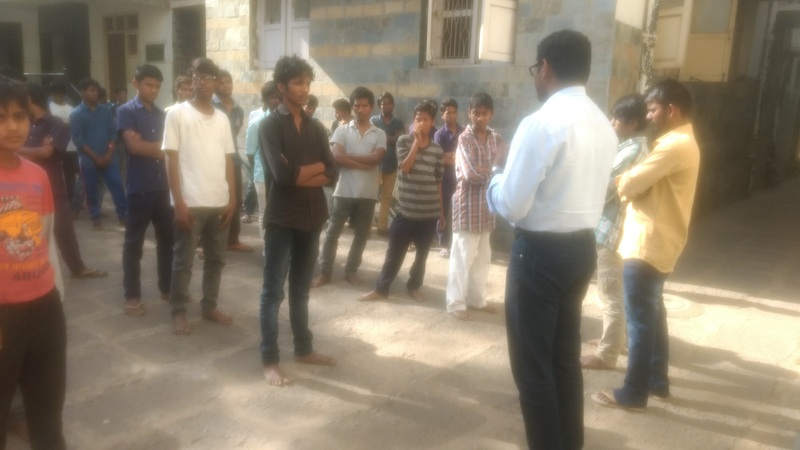 GENPACT India supported this year to upgrade our Vocational training centre where we upgraded machinery in Electrician, Carpentry and Plumbing. The centre with latest machinery / equipment was officially got inaugurated by the team of GENPACT in the month of April which is running perfectly and children are getting trained in particular trades. 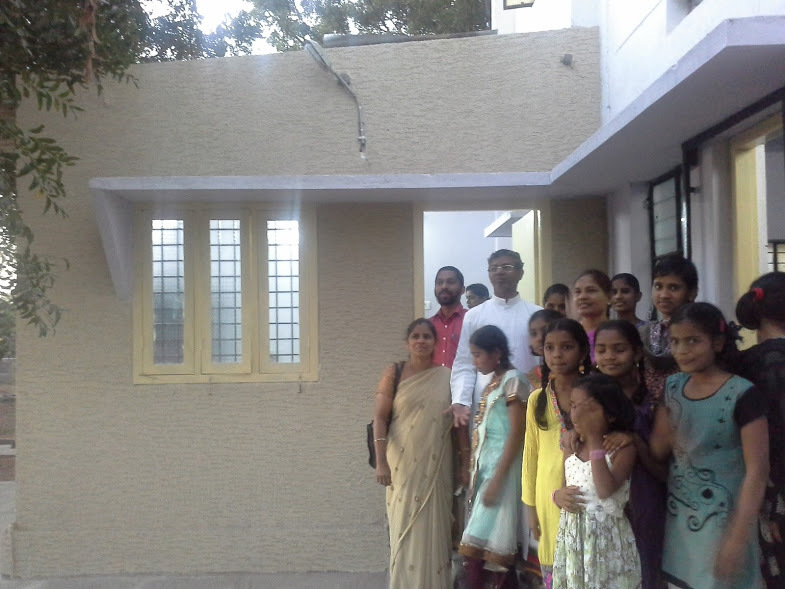 Hyderabad, April 25: On 24th April 2015, Don Bosco Navajeevan has inaugurated a home for Street Involved Girl Children in Vanasthalipuram, Ranga Reddy District. It was a memorable day in the History of Don Bosco Navajeevan and it is a Fourth Home especially for Girls. Hyderabad May 21: Honourable Central Minister for Labour and Employment Sri Bandaru Dattatreya visited Don Bosco Navajeevan home, Nampally on 20th May 2015 as part of Swatch (clean) Hyderabad programme. 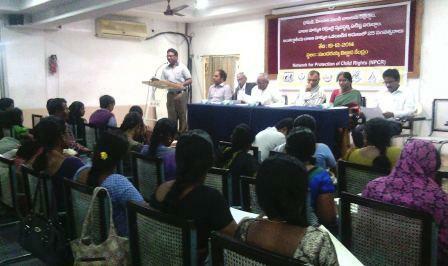 Along with him there were also Mr Vinay IAS officer and other nodle officers present. He was very much friendly and interacted with our children. 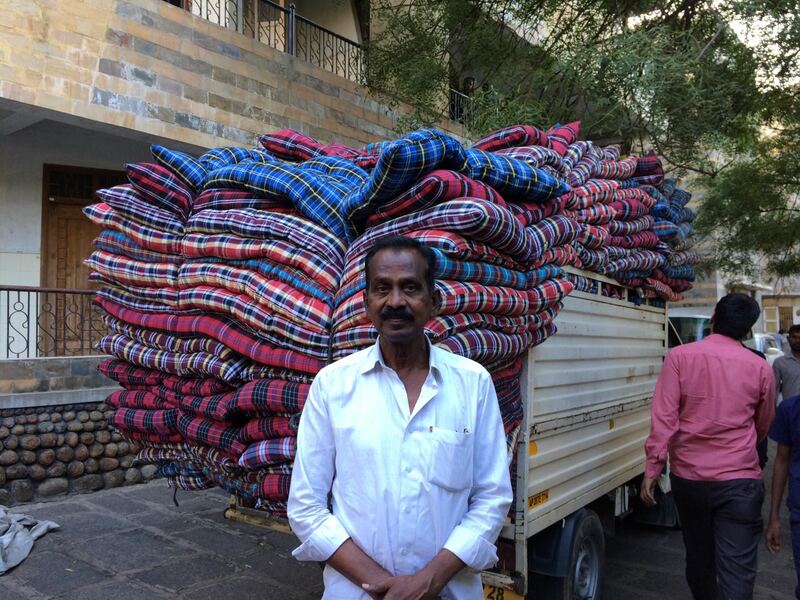 He is keen to know our activities and appreciated the work done by us. 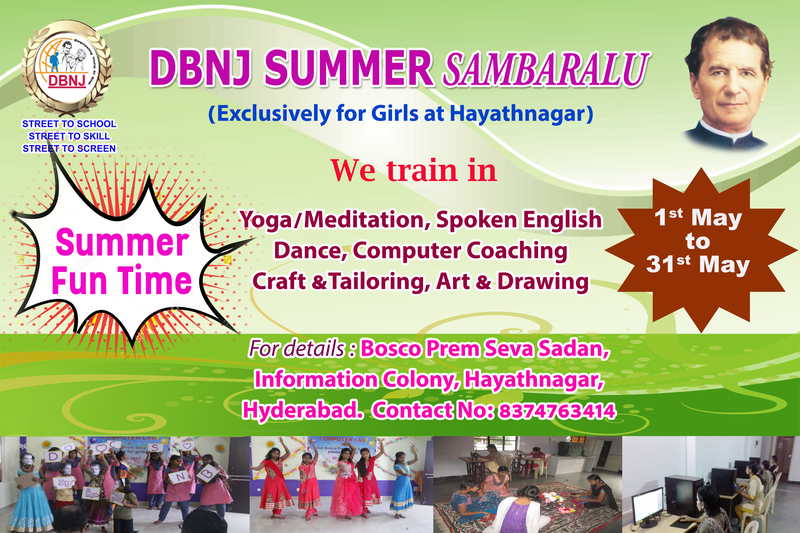 Hyderabad, May 5: The summer camp for year 2015 is inaugurated for the High School children at Don Bosco Navajeevan, Ramanthapur by Fr Thathireddy Vijaya Bhaskar, Vice Provincial of St. Joseph province of Hyderabad on May 1st 2015 and Ms Katie, visitor from USA inaugurated camp at Don Bosco Navajeevan, Namaplly for the kids who are below 10years. 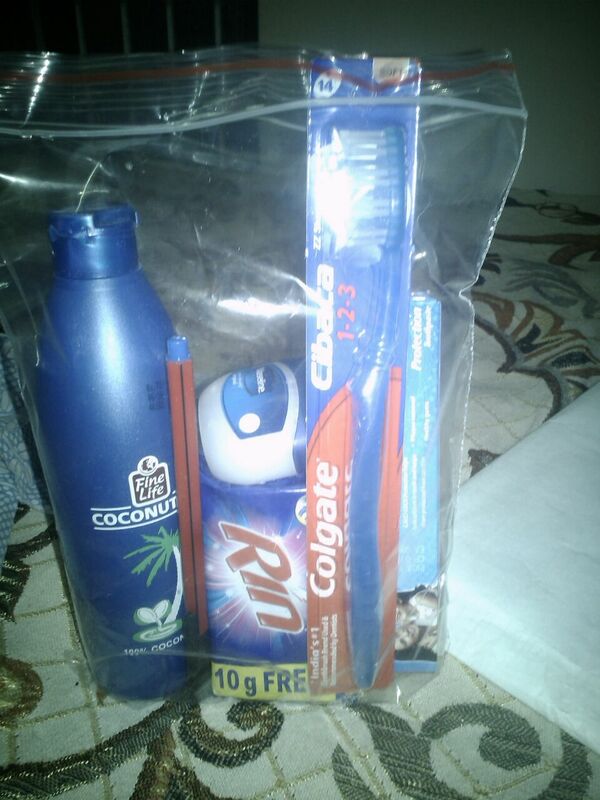 Camp is time to learn new things and we guide them to bring out their hidden talents. Hyderabad, Feb. 12: We the community of Don Bosco Rehabilitation Centre, Ramanthapur celebrated on 11th February 2015 sastipurthi i.e., 60th Birthday of Fr. V.T. Philip. 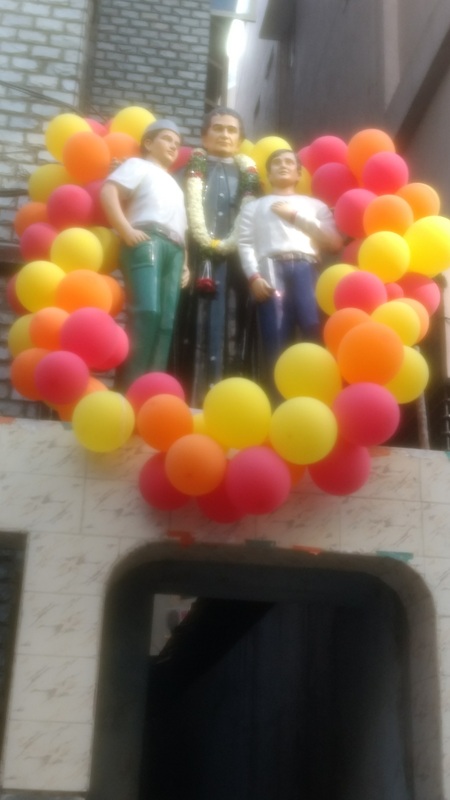 The celebrations began during the morning assembly, where petals of flowers showered upon him from the roof tops while the birthday songs and music were played. Children and staff one by one came personally to wish him and get his blessing as the good Lord gave him 60 years of healthy life that he is enjoying. 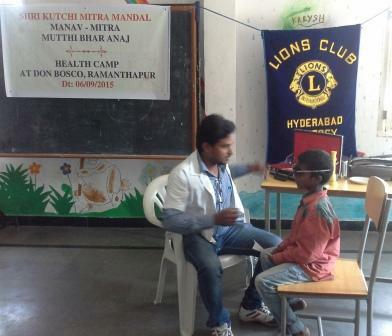 Hyderabad Feb. 1: Annual feast of Don Bosco on 31st January 2015 was celebrated with a difference at Don Bosco Rehabilitation Centre, Ramanthapur. Children who have been rescued from Bangle Industry from Old City, Hyderabad were brought to our home on 24thof January 2015. Last eight days they have been residing at our campus. This year, they were our special guests for the feast of Don Bosco. We were blessed to have them amidst us. Secunderabad Jan. 17: Ms Smitha Jane Xavier, is a Master of Business Administration (MBA) student from Xavier Institute of Management and Enterpreneurship (XIME), Bangalore. She joined as a volunteer just for three weeks commenced from 29th December 2014 to 17th January 2015. 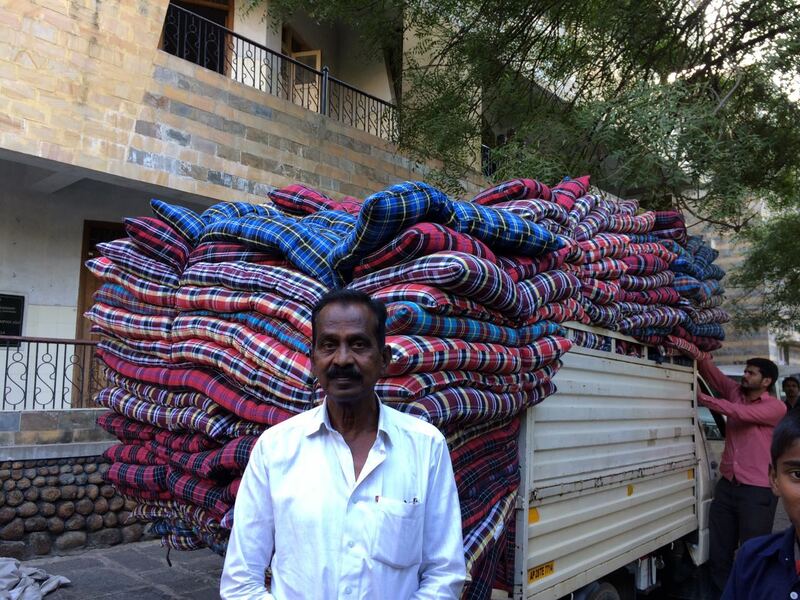 She shares her experience being part of Don Bosco Navajeevan homes in twin cities i.e., Hyderabad and Secunderbad. Hyderabad Jan. 15 In the midst of kite flying and merry making in Hyderabad city on Shankaranthi Day, 15 children dressed in Pink launched Action/2015 in Telangana State at a meeting with the Deputy Chief Minister, Sri Rajaiah. The Minister lauded the initiative of the children and pledged to be part of the campaign for the Sustainable Development Goals (SDGs) for 2030. Nagarjuna University, Guntur Jan. 7: Work with the Young at Risk of Fr. Ignatius Peyyala has borne fruit in the form of a doctoral thesis which he defended with flying colours on 7th of January 2015. Fr. Made his study on the effects of counselling on post traumatic stress, mental health status and coping strategies in abused children. 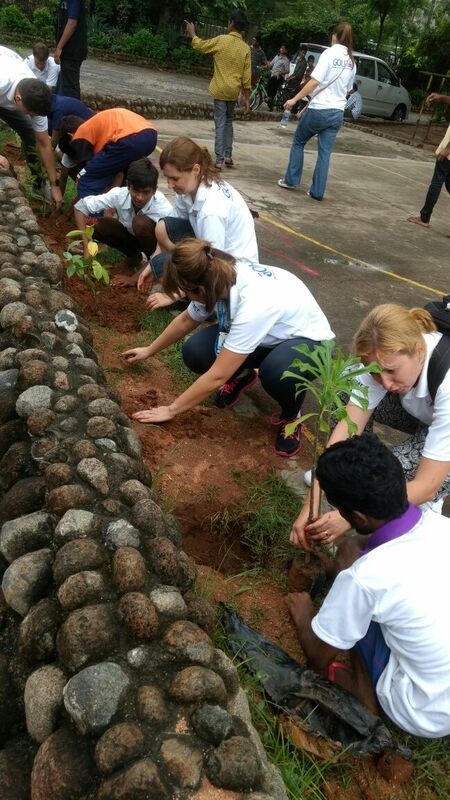 Hyderabad, Dec. 2 Employees of Accenture and Deloitte took a day off from their white-collar job to soil their hands with and for the children of Don Bosco rehabilitation home at Ramanthapur on 15 November 15. 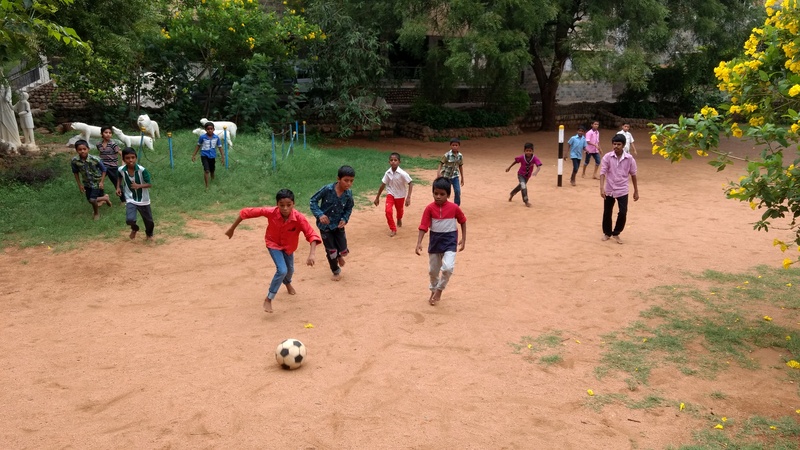 Some of them were so enchanted by the vitality of these children that they pledged to be regular weekend volunteers.The two different companies visited Don Bosco Navajeevan, Ramanthapur on different dates but with the same intention: know and share life better with the children.